cake is never too difficult to hunt down. 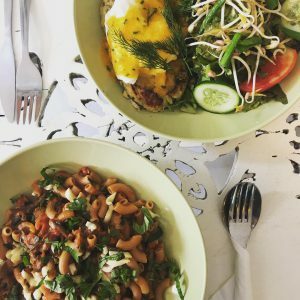 Here’s a quick lowdown on a few of my favourite spots for a quick bite in the city. 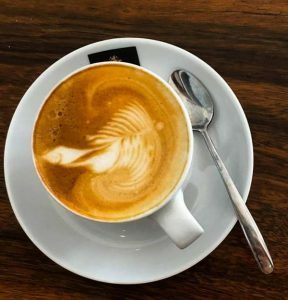 Whight & Co: With freshly ground coffee and an extensive menu which even includes cocktails, wine, spirit and beer, this café is prepared to treat you any time of the day. They have a range of starters, mains, wraps, burgers and salads to satisfy your appetite, along with the sea views (provided you choose your seating wisely). If you are a caffeine lover and enjoy making your coffee with freshly ground beans, then Whight & Co also offers coffee bean pouches for a partial café experience in your own kitchen! Milk & Honey Café: Hidden away towards the end of their store catering to children, the Milk & Honey café is a delightful space in the heart of Colombo. While offering a variety of fusion dishes including wraps and salad bowls, Milk & Honey also serves refreshing fresh juices and smoothies. They don’t really do coffee though, so this is not ideal for the coffee crazies. The space is welcoming and ideal if you’re with the kids. Be warned though that the kids store through which you must pass through, is full of interesting books and goodies for them, so be prepared to spend a bit extra. 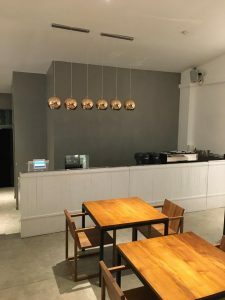 The Brown Bean Coffee: Having started small as part of a local market promoting small scale entrepreneurs, The Brown Bean Coffee café is now thriving at its own store. They offer a wide variety of hot and cold drinks, made with their organic Peruvian coffee. The offering here is really a no-nonsense, fairly-priced approach which also includes a few food items like waffles which you might like to try. 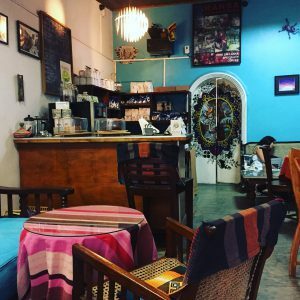 Hansa Coffee: This small yet cosy café tucked within a busy street is a quiet hangout serving coffee, tea, brownies and their own chocolate. Hansa Coffee is ideal for spending some alone time, perhaps doing some reading or writing if that’s your cup of tea. Hansa Coffee used to be the venue for a much loved poetry evening for several years. Nevertheless, this spot is an authentic place for some simple food and great coffee. Kopi Kade: If you are serious about coffee, this is the place to go. With simple neat interiors furnished with wood, Kopi (Coffee) Kade (Shop) has a strong focus on their coffee and its origins. In case your timing is good and you bump into the owner, then you are highly likely to enjoy an interesting and insightful conversation about the weather. Sorry, I meant coffee, obviously. Kopi Kade also has some absolutely delightful snacks on the menu, prepared to high standards. This is definitely an experience, rather than just good spot for coffee.